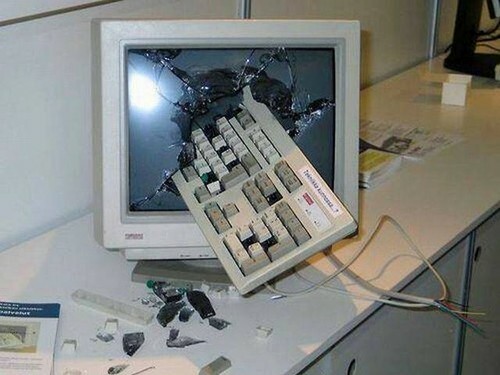 One of the most common problems that every user will experience at some time when using a computer, commonly referred to as lag in the IT field. Is your computer running slower then usual and a constant problem that any user will face. Granted there are thousands of variables and problems to consider with this that only a trained specialist would know how to handle. I can provide you though with some simple steps to potentially improve the performance of your computer. The first step is knowing where your computer is starting to run slow. Start by doing a fresh restart of your entire computer. If you are experiencing a longer start up process compared to before your start up is cluttered with too many programs trying to open at once and some will need to be shut off to provide yourself with a quick start up. 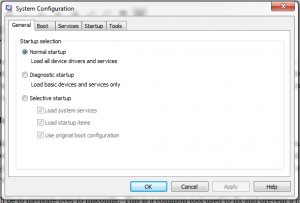 Follow the steps below shutting off programs at the start up. This is a common tool used to fix and prevent a lot of problems one might have with a computer. For now we will be using the Startup feature to assist us. 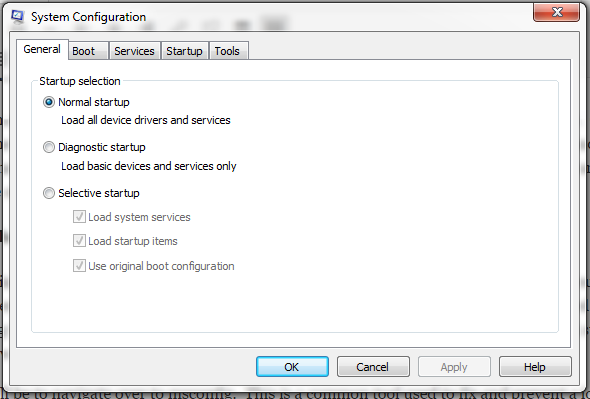 Within the startup feature you will see countless amounts of programs that are prompted to boot on startup. 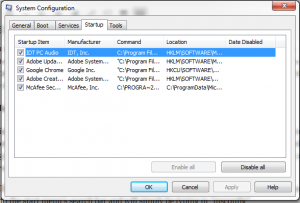 Disabling non-priority programs can help with your boot up process. *Take Note* disabling some programs can lead to software failures within your OS. If you are unsure of what to activate and not activate stop where you are and simply call up the trained staff here at Houston PC. This is a more advanced way of doing things and shouldn’t be taken lightly. If your computer is not suffering at the start up and is slowing during use of the computer. (Running applications, booting up software, running multiple programs.) Then you will be looking at a hardware issue. When I refer to hardware issues is basically you are pushing the processing power and memory capabilities of your computer beyond its limits. In the following steps below you will be instructed on how to determine if an upgrade is needed in your near future. 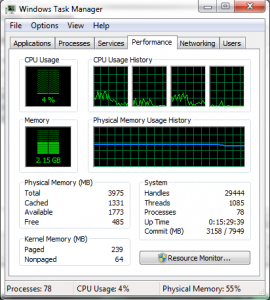 Simply click on “Start Task Manager” and you will redirected back to your desktop with a new screen opened called “Windows Task Manager” You will see a collection of different tabs but for the time being we will be using the “Performance Tab” as shown below. You will see two separate categories. 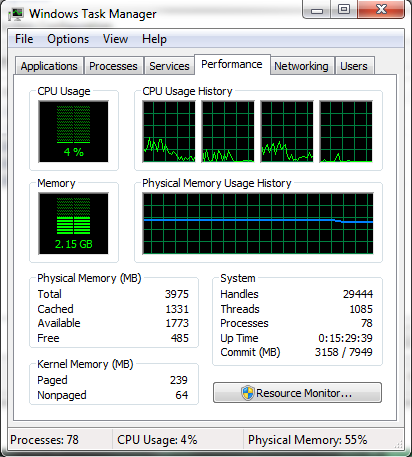 One will display the amount of CPU usage your applications and the other is how much physical memory is being taken up. Using this tool you can determine where the issue lies and what steps you can take to fix the “lag” you are experiencing from your computer. If your CPU is being jammed full it can either be because of a certain program taking up most of your core CPU or from malicious software pushing your computer to its limits. If your computer is not infected with outside software you never intended to use an upgrade to your processor is suggested in the near future. Now if your CPU is running fine but your physical memory is clogged then your next step is purchasing some additional Memory for your computer. If you are looking to purchase additional RAM/Memory, there are multiple websites to look at for purchasing additional memory and other computer upgrades and products. Browse through the links below to keep up to date with the best deals and prices. All of the previous knowledge is something that should be handled by an experienced user. 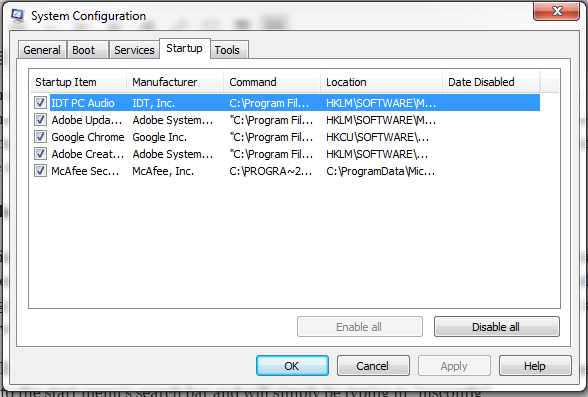 Changing settings can sometimes be harmful to basic practices and applications on your computer. If you are unsure of what you are doing the experienced staff here at Houston PC Services can better assist your needs. Feel free to schedule an appointment with us and we will get you back on the fast track to a smooth and seamless experience with your desktop.